The Roebling Road WERA Race week started out flying from Chicago to Atlanta to visit my father. 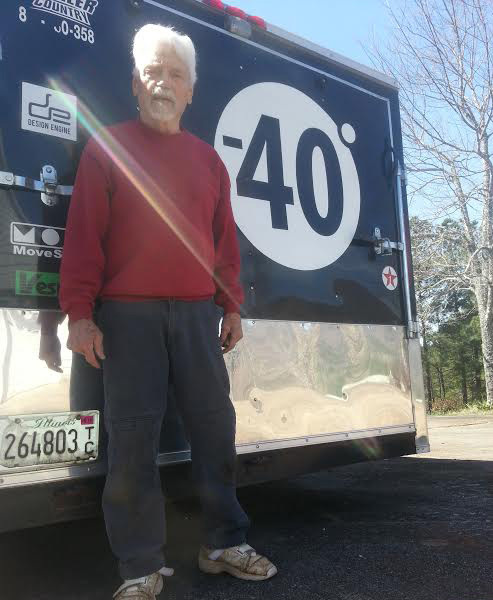 He lives north of Atlanta where I stash the truck and trailer for the long Chicago winter. My hope is always that that vehicle is closer to a trip to Homestead Florida in either Dec or Feb and/or that I may ride some motocross during the winter with my 82 year old dad. 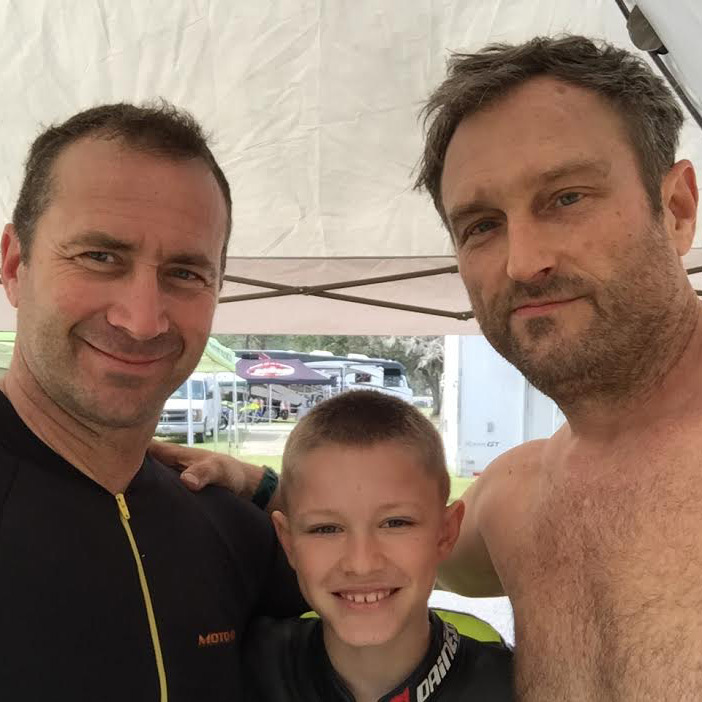 We like camping at Durham town Motocross near Augusta GA for a week in winter each year. It’s too easy to talk oneself out of driving that far ie. Chicago to Miami. The idea is to leave the F250 trailer rig in Atlanta for winter and fly down since it’s half way already makes since. The A-Bike set up and ready for racing. We didn’t bring the B-Bike down for this round. Design Engine, where I teach Creo & Solidworks training classes, I do mostly the surface modeling courses… we purchased a Phantom III drone and I was looking forward to spending some time with my dad and learning how to fly and use the camera on the drone this week. I haven’t had a week off all year so I was looking forward to organizing the trailer, hanging with my dad and playing with the drone. I got some really good videos using the drone even though I was trying to take photos. Be sure to watch the end of the video. Be sure to see my start in the beginning of the video and my drone video flight over my dad’s house from Northern GA at the end of the video. 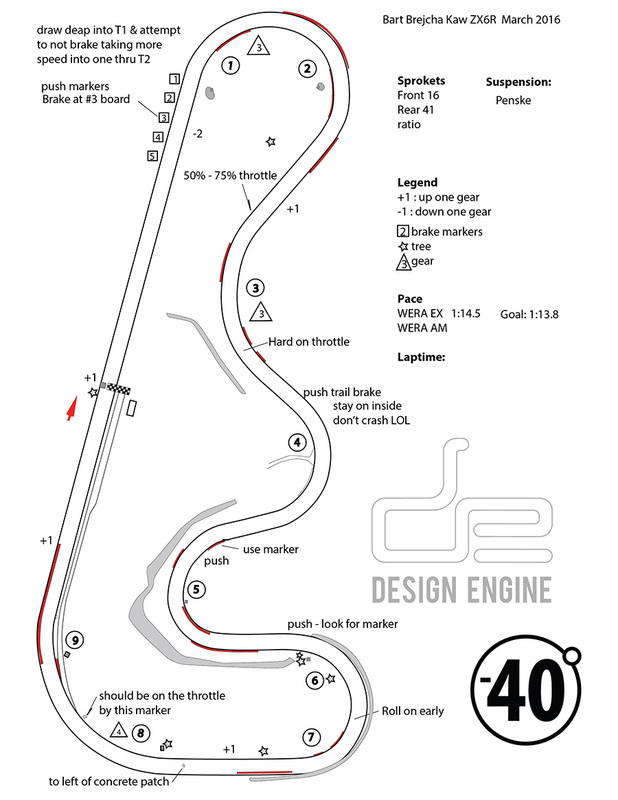 To access the track map we use in PDF format both at the bottom of this blog post. The Sportbike Tracktime people offer the Apex brand of products; they are always so friendly. We run the Apex bars BTW. Sportbike Tracktime was at Roebling Road in Savannah GA this weekend. They were at Barber on Thursday the day before and Roebling is just a hop skip and a jump across Georgia for those folks. Damian Jigalov the 11 year old road racer from Chicago recently gave a great talk about sportbike racing at the Dainese shop in Schaumburg, IL, where we got to meet him & his dad for the first time. If you haven’t met Damien, your in for a treat. He is quite well spoken. Part of a racing family for sure “GO SPEED RACER” style. We made sure to share the Roebling race maps with everyone including this race family. My father Rollen helped me organize the trailer before the race weekend. Thursday, I drove down from my father’s house in Northern Georgia to ride practice and work out the cobwebs. On the drive down to Savannah as the shadows got longer I noticed that the trailer lights were not working properly. It was starting to get dark. My dad must have damaged the wiring adding a fender light. I made a point to drive faster and will have to check that trailer light system before driving back. Pitted far away from Pit In. We usually like to be close so we can see the 5 board go up. Jamie Starace brought a whole slew of 5 gallon cans of race fuel to the track from Atlanta’s Marietta Motorsports. I guess everyone knows where to look for him so we agreed to pit nearby. I went to College at Southern Tech in Marietta and they are not far off of HWY75. I looked them up on Google and noticed they have 5 star rating! Craig “Huey” Stewart seems like a great guy. I called up there for a can of MR12 for myself and spoke to him. It was complete coincidence that Jamie was the delivery man for this oxygenated fuel. A racers go fast drug. Cool that he is the delivery man because everyone came over to our pit looking for their fuel. What a great way to meet everyone. MR12 was delivered from Marietta Motorsports via Jamie who is such a great guy he volunteers for the job. My favorite Jamie story was him asking Frank Babuska who he was after I told Franky that everyone was talking about him. Frank came over to say high to our pit. “Oh you’re the B-man,” says Jamie as everyone laughs. This race weekend is Jamie’s first Expert weekend racing, for your information, and went well according to him. “I just don’t want any Amateurs to pass me”. There was a large representation from the Midwest at this WERA event & Midwest seamed to clean house too. Ryan Christian from Indiana lives in Clearwater nowadays so we can count him as a Midwesterner. Ryan raced CCS with us in the Midwest starting in 2012, and won all the races that I did not race. Jeff Holmgren killed it this weekend with his new #5 white plate on his beautiful red Yamaha racers. Cory West was there on his new BMW beauty looking to collect the bounty and took 3rd in many races. Michael O’Malley and his crew was helping like a well oiled machine. An effective team. This was Cory’s debut on the BMW. You know they have that BMW Contingency dialed. I even saw one of my old motocross racing friends Billy Ethridge. Billy is a bit younger that me, so we don’t quite remember each other racing motocross in Georgia but we share many of the same friends on Facebook. Billy lives in Atlanta now days and was often in front with all the AMA pros this weekend. It was great to connect with him. I got to try the Michelin tires for the first time this weekend. 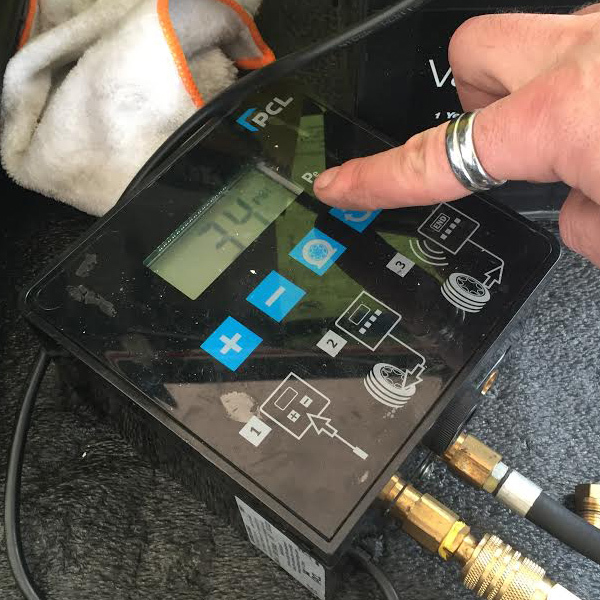 David Grey filled us in on all the information we needed to try the tires for the first time even with Nitrogen. It was just going to be in my first race. He suggested we use them in practice, but I figured we would just go straight to racing on them if they are truly similar to the Pirelli tires. Since we run nitrogen maybe we should get some time in practice on them. I noticed some differences when hard on the throttle. Maybe that is up for another blog post. I won all the races I entered on them too! Wanting to wiin all the races and in my first race I felt a bit of anxiety because of starting on the fifth row. I don’t usually get anxiety. I was watching the lighter bikes race at turn five with the Öhlins performance master suspension guru Mike Fitzgerald aka Thermosman. We were watching the race chatting at the fence at T5. I explained that I’m starting fifth row and thats far back. He turned to me and said just as plain as day, “Do it all before turn one.” I laughed and explained that that’s what I normally do, but I wanted to take it easy and not rush things, and that my team asked me to take it easy. Well the video of my first race explains it all. I don’t think he believed me. 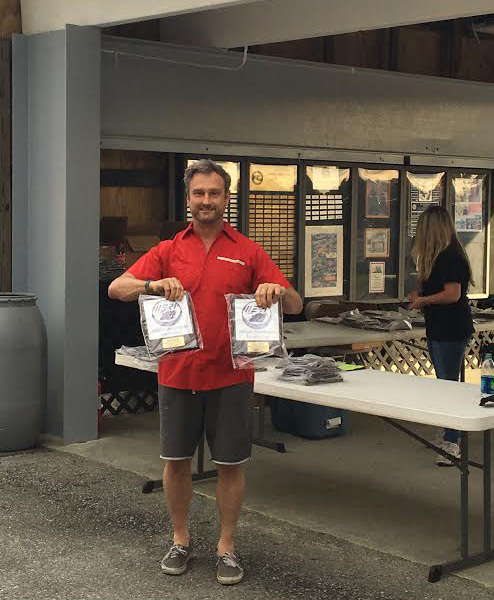 Won the first two races of Saturday. I was really hoping to both win every race & get into the 13’s on Sunday, but mechanicals kept me from competing. Starting fifth row I make easy work of these WERA racers. Racing a Kawasaki ZX6R for the with Michelin tires for the first time. Ill have narration added to the video by lunch time Saturday. I have a another race video to add next week. “don’t try to win it in one turn” Brian explains. I sasy ‘okay’ haha Ill pass someone each turn then. This weekend I did pass in every turn except for T9 Don’t forget to Subscribe to my youtube channel. Bart Brejcha Youtube https://www.youtube.com/user/bbrejcha Be sue to check out the end of the video. My first video from the Phantom III drone. I was trying to take a photo of my dads house from above but took video the entire time. Easy mistake. 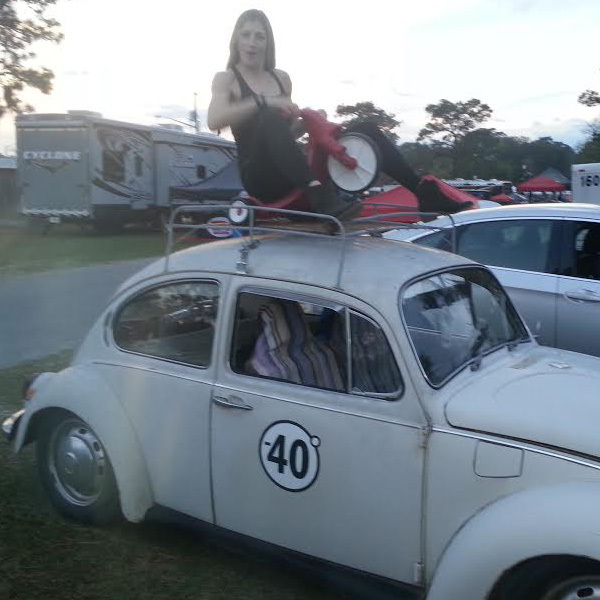 Sondra killed us laughing as she rides her wheelie on top of the Herbie the Love Bug. Billy Pedro told us over and over he had two girls on top of this VW Bug, two waitress from Hooters once. Sondra climbed up there immediately and rode her wheelie. Get a load of those arms on that woman! Sondra Ellingson makes her gesture for wheelie Wednesday probably making fun of us motorcycle racers complaining about not having enough wheelie Wednesday photos. Sondra is a personal trainer at FFC in Chicago’s West Loop. Check out the -40° vinyl graphic on the side of the bug! Big thanks to Scott Froming for processing the video Friday night & to David Grey for letting me try those Michelin Tires. Thanks to Brian Kolasa for taking the time out of his new job to wrench (he works for Dewalt now) and to Sondra Ellingson for her organization skills. Check her wheelie wed picture! 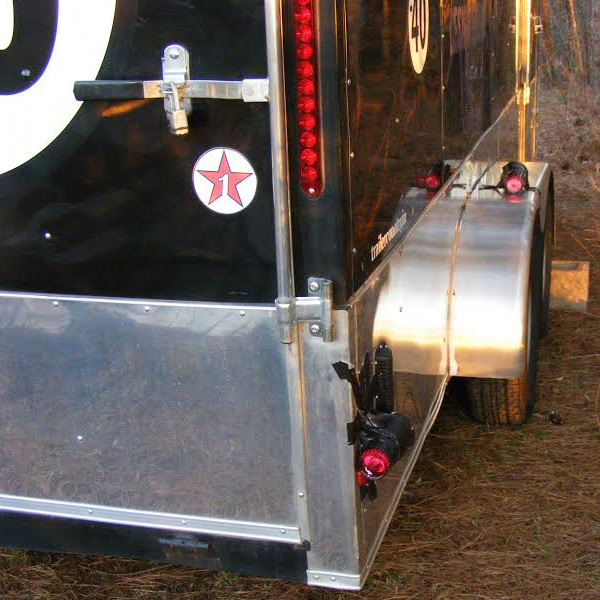 On the way home Sunday the tail & running lights on my trailer definitely didn’t work. The brake lights worked okay, but not the tail lights. My problem solving skills don’t work so well with electronics, so before dark I stopped at Walmart and picked up some makeshift tail lights. (Flashlights, duct tape and transparent red drinking cups and made myself some running lights. Haha.) My dad kept telling me it’s a fuse in the truck but since the brake lights worked that can’t be. Turns out he is right all the time.